There are many ways to be a member of Ananda — from being an Ananda Sangha member to total immersion in the Ananda lifestyle as a resident at an Ananda community. Residential membership at Ananda Village, described below, is a very full commitment, and we invite you to begin the process of discovering if it is the right choice for you. You may also want to explore other ways of making Ananda a part of your life. Meet the challenges and victories of your own spiritual journey in the company of friends who support your inner growth and higher aspirations. You may join even if you are also a member of other organizations. There is no charge for membership. If you would like to study Ananda’s teachings, meditate, and have satsang (spiritual company) with other like-minded people, we can help you find the group that is closest to you. There are Meditation Groups and Centers throughout the U.S., and in over 20 other countries. For those who do not live close to a Center or Meditation Group (or for anyone who seeks to enrich their practices and understanding), we recommend joining the Ananda Virtual Community. Online classes, live broadcasts and interactive forums all provide a rich environment for those seeking the support and company of other truth-seekers worldwide. There are presently seven residential communities in addition to Ananda Village – Ananda Sacramento, CA; Ananda Palo Alto, CA; Ananda Portland, OR; Ananda Seattle, WA; Ananda Assisi, Italy; Ananda Gurgaon, India; Ananda Pune, India. 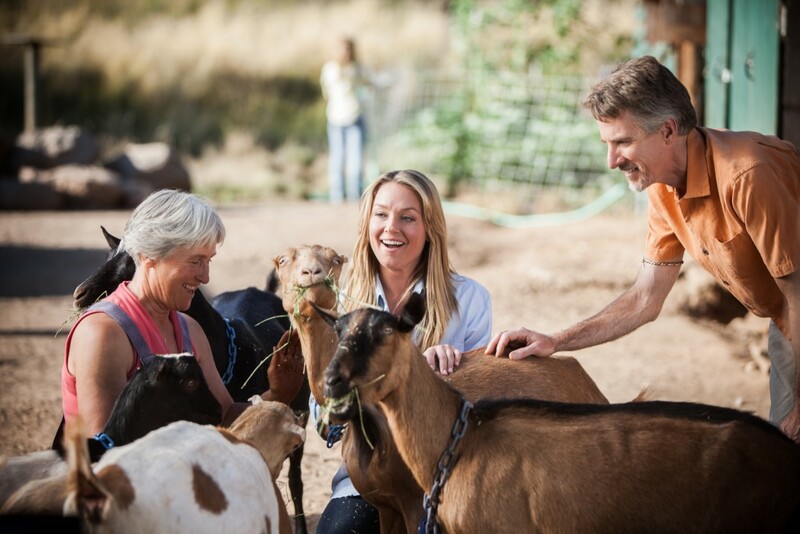 Each Ananda community is unique – yet similar. The intent of all Ananda communities is to create an environment in which each devotee’s spiritual life can be inspired and supported. Our life is supported first and foremost by our spiritual practices, combined with joyful service. If you are unfamiliar with Ananda’s teachings and lifestyle, we have found it beneficial to first consider living or participating as part of one of Ananda’s branch communities before living at Ananda Village. Unlike the Village, each of these communities has a nearby teaching center that offers ongoing classes on all aspects of Ananda’s spiritual path – both yoga philosophy, and the meditation practices and techniques leading up to Kriya initation. Though most residents are disciples of Yogananda, and it is necessary to live in harmony with the community, there are no formal membership requirements. This allows you to become familiar with Ananda’s particular path and way of life at your own pace, to decide whether it is yours. For more information on Ananda’s branch communities, contact them individually. The core requirements for resident membership at Ananda Village are that you be a disciple of Paramhansa Yogananda, that you be a practicing Kriyaban, and that you have studied the teachings of Yogananda and Swami Kriyananda (Ananda’s founder) to the extent that you have integrated the teachings into your daily life. Further, all resident members must show that they have the ability to live harmoniously within the community, offer joyful willing service beyond their daily work responsibilities, and are committed to regular daily sadhana (spiritual practices), especially to their practice of Energization and Kriya Yoga meditation. In addition, residents are expected to participate in group meditations, Sunday worship services, and other events to deepen their inspiration and dedication toward Self-realization. Residents do not use recreational drugs or alcohol. Finances – All residents need to be able to financially support themselves and their family in a simple rural environment and simple lifestyle. All residents maintain and retain their own assets and income. There are paid positions within several community-owned businesses; however, salaries are modest and the community does not have enough employment opportunities for everyone living at the Village. Therefore, many residents, especially those with families whose financial requirements are greater than average, find a source of income outside of the community. We have several programs that are designed to help you experience Ananda Village, understand how it works and why, and that provide enough time for you and us to mutually decide whether Ananda Village is the right place for you, at a given time. A good starting point for most people is the Karma Yoga Program, offered through The Expanding Light, the community’s retreat center. The Ananda Internship Program is another wonderful opportunity, currently offered on as an extended work study program during Summer months only (camping, approximately May–Oct), for individuals familiar with Ananda and our spiritual path well enough to spend several months living, serving and exploring community at Ananda Village. 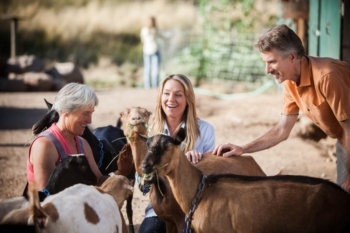 For families with children, the best way to explore life at Ananda is to participate in the annual Living Wisdom Family Camp, at Ananda’s Meditation Retreat, just a few miles up the road from Ananda Village. You can also plan a more informal visit during the summer, when we have family housing available in Banyan House. Please call the Village Reception Center at (530) 478-7500 so that we can work in the best possible way to accommodate your individual family’s needs. These three programs provide good experiences to help you evaluate whether you want to consider becoming a residential member of Ananda Village. There are additional programs (Experience Ananda, Living Discipleship and Chandi) for those who are accepted into the membership process. The process from entering introductory programs all the way to establishing residency at Ananda Village takes time. We have found that allowing enough time for people to fully understand the community and the commitment of membership, before accepting them as members, is crucial to their fulfilling life as a resident member. The membership process is approached on an individual basis, based on what best serves your spiritual growth and your attunement with the community. We make decisions and work with people based on our experience and intuition, and strive for your highest good and wellbeing. If you cannot take time away from work or family to go through the specific membership programs and process, you can choose to live close to the Village, and participate as a local Ananda Sangha member. Many people find it advantageous or appropriate to have their own home in the local area, and connect with Ananda as they are able to. 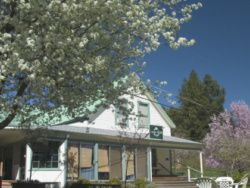 We have a nearby meditation group in Grass Valley, and many devotees who live in the local area come often to Ananda Village for Sunday Service and other events to feel a part of Ananda Village and to enjoy the satsang (spiritual company) and uplifting vibrations here. The Village is always open for you to enjoy, and help you feel connected with and supported by your spiritual family. 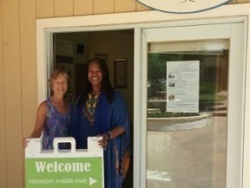 If you are interested in knowing more about membership and residency at Ananda Village, you can contact us at info@anandavillage.org or call 530-478-7500. I am new to the teachings and haven’t taken Kriya initiation yet. Can I still begin the process of resident membership? How do I decide which community is best for me? Resident membership is not merely a change of address. It will very likely be a complete change of lifestyle for you, and requires a serious commitment to Ananda’s teachings and spiritual path. We welcome you to visit The Expanding Light, Ananda Village’s meditation and yoga retreat. They offer a wide variety of classes that introduce, and can take you deeply into, the universal teachings of Sanatan Dharma (the eternal religion or eternal truth), and the path of yoga, as taught by Paramhansa Yogananda, Swami Kriyananda, and our line of Kriya Yoga gurus. There may be an Ananda Meditation group, teaching center or an Ananda Sangha (spiritual community and place of worship) near you. There, you will find like-minded spiritual friends who you can study and meditate with. The larger centers and Sanghas offer Sunday Service, weekly classes, group meditations, and many opportunities for you to become involved on a regular basis. Sign up for Ananda’s home study course in yoga and meditation, The Ananda Course in Self-realization. (Contact the course director at (530) 470-2340 or course@ananda.org to begin.) In addition to the course material, you will receive ongoing support from the course director and other Ananda ministers. When considering a move into or near an Ananda community, think about how your life, as a whole, would best be supported. Your spiritual life is not separate from your practical life, so every aspect needs to be considered in an integrated way. All of the Ananda communities exist to create an environment that supports the devotee’s path toward oneness with God. While each community has its unique aspects, all of our communities offer weekly Sunday worship service, group meditation, inspirational and social events, opportunities for many different types of service, and importantly, abundant satsang (spiritual company) with other devotees. Our communities in Palo Alto, Portland, Sacramento, and Seattle have an extensive year round schedule of events and classes that can take you from an introductory level into the most advanced techniques and teachings of Kriya Yoga, while living in or participating as part of that particular community. Most of our communities have Ananda Living Wisdom Schools, imparting the Education for Life philosophy of Paramhansa Yogananda and Swami Kriyananda.